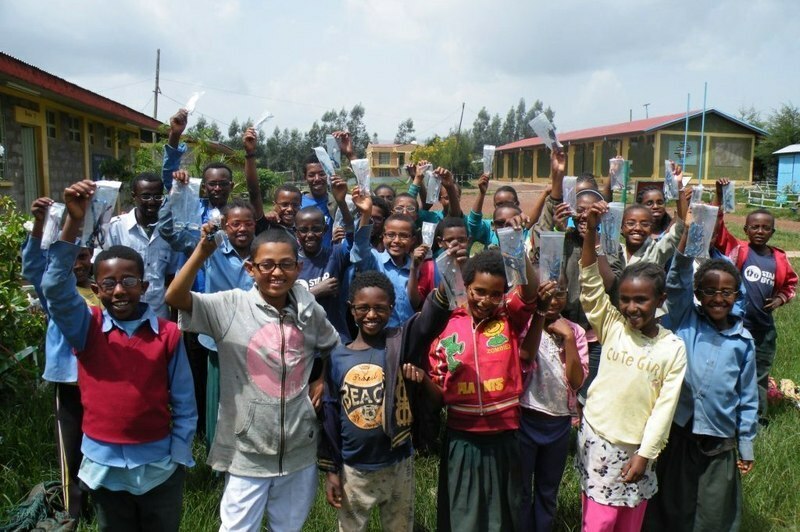 Since Stand by Me became caring and educating children at the Bekoji Bethany School in Ethiopia, we have improved the education, health and wellbeing of many of the poorest children in the town. It is now regarded as one of the best schools in the district where our amazing children are making great achievements. However, it is always our aim to continue to improve to provide the best standard of education and care for our kids. We believe that it is always preferable to use local people and local skills to meet the needs of our children but when there is a lack of skills or provision in the area, we use international volunteers. When faced with the need for all of our children to receive an eye test – this was the case. Thankfully we were able to partner with an organisation called Vision Aid Overseas who sent a team of 8 Opticians from the UK. Poor eyesight can limit a child’s ability to learn and participate at school and can put significant strain on their social skills and interaction with friends. For our children to benefit from a life changing education it was essential that we ensured all their health needs were met including the need for spectacles or eye treatment. The team gave every child at our school an eye examination, checking the health of our children’s eyes and identifying those who needed spectacles or further treatment. Following examining all Stand by Me children the Vision Aid Overseas team examined the families of all our children and screened people in the local community. They screened over 2000 people in total and examined over 1400. They provided 212 spectacles for children and adults and 98 people were referred for further treatment at an eye hospital. We are thankful for the Vision Aid Overseas team who have brought lasting improvement to our children’s lives giving our children improved eye sight. Our children now have a greater enjoyment and enthusiasm for their education and play life and can enjoy their childhood without the limitations of poor eyesight. You can read more about our Bethany School on our Bekoji page.